In December, the University of Nottingham Division of Food Science, and the Future Food Beacon were pleased to host Dr Michele Perchonok, current president of IFT, to a lecture on the question of feeding the mission to Mars. In this blog post, third year PhD candidate, James Huscroft, reflects on her talk and the logistics of such an endeavour. 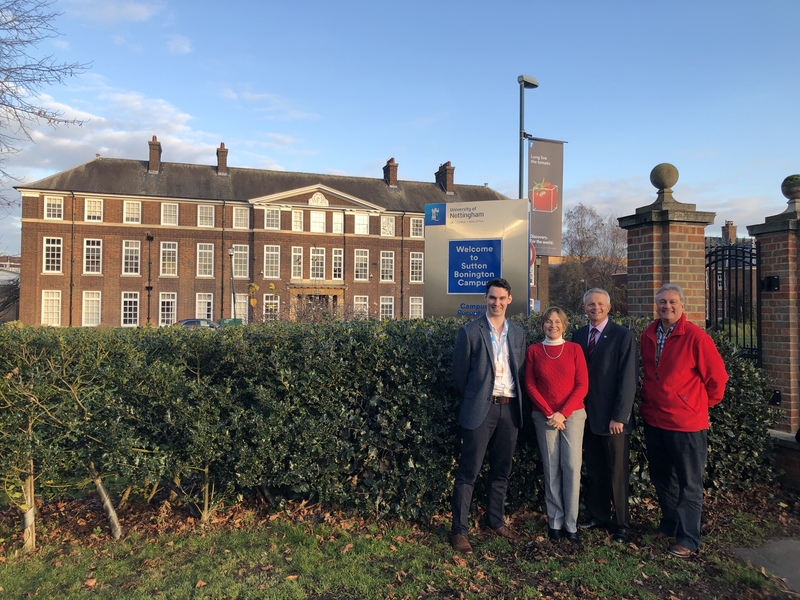 On Friday 14th December 2018, the University of Nottingham had the honour of hosting Dr Michele Perchonok who is currently President of the Institute of Food Technologists (IFT) in the USA. Prior to this position, Michele was the Manager of the Human Research Programme at the Johnson Space Centre for NASA where her responsibilities ranged from New Product Development (NPD) and processing requirements for space food, nutrition and menu definition to the realms of food packaging. Dr Perchonok talked first about the IFT as an organisation, and what they do for students and industry professionals. This includes opportunities for international collaborations, courses and networking events much in the same way the IFST operates here in the UK. The main part of the talk was fantastic. No other word to describe it. Dr Perchonok talked about “Feeding the mission to Mars”; specifically, the challenges which might be faced. Currently, space missions usually last between 6 and 8 months. The longest time spent in space at present is a year on the International Space Station. Getting to Mars when the Earth and Mars are at their closest point in orbit (which happens once every 2 years) will alone take 6-8 months! As food scientists, the main question we face is the logistics of food required for such an undertaking. Not only would food be required to have a shelf-life of 5-7 years (the predicted total length of any mission to the red planet) if it was sent up before the mission began, but what will happen nutritionally over the course of this shelf-life since nutritional quality is of major importance to the crew? These were just some of the questions posed by Dr Perchonok. Dr Perchonok explained that we know the pleasure and taste of consumed food is majorly impacted by the aroma volatiles which enter the nasal pathway. Due to the differences in gravity between the Earth and Space, these volatiles may not enter the nasal pathway entirely and thus change the perception of the food when consumed. Other factors influencing pleasure and taste might include meal variation, colour and even familiarity of the food which must be considered if a 32-month mission is to be accomplished. Dr Perchonok also spoke about the technology which may need to be implemented to make such a mission possible. Food processing, innovation and flavour must all be considered. Some ideas posed ranged from: microwave sterilisation to pressure assisted sterilisation technology, innovative foods and ingredients, to functional foods and even flavour/vitamin encapsulation to aid in the diets of the crew members. One exciting, new technology would be the use of hydroponics and LEDs on the Martian surface. This would optimise space when astronauts were living on the surface of Mars and would allow them to actually grow something as simple as a tomato which we take for granted here on Earth! This would be slightly more challenging on the surface of Mars where the temperature is around -80°C! This is clearly going to require serious thinking. The one thing that was clear from all this work was that food science is readily changing to meet the needs of some truly astronomical visions and that we, as the next generation of food scientists, are in for a true spectacle to meet these challenges and visions head on. New ventures, like the Future Food Beacon here at the University of Nottingham, along with other international collaborations show that these visions will become reality one day. Lastly, thank you to Michele and to Bertrand Emond (current Chair of IFT British Section) for visiting us and sharing such a fascinating talk!